This is a double ended carbon steel burnisher that has been chrome plated for easy sliding over encaustic paints. 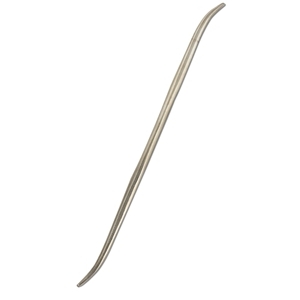 Its curved rounded smooth edges are ideal for manipulating wax paint surfaces. Approximate length - 7 1/2".